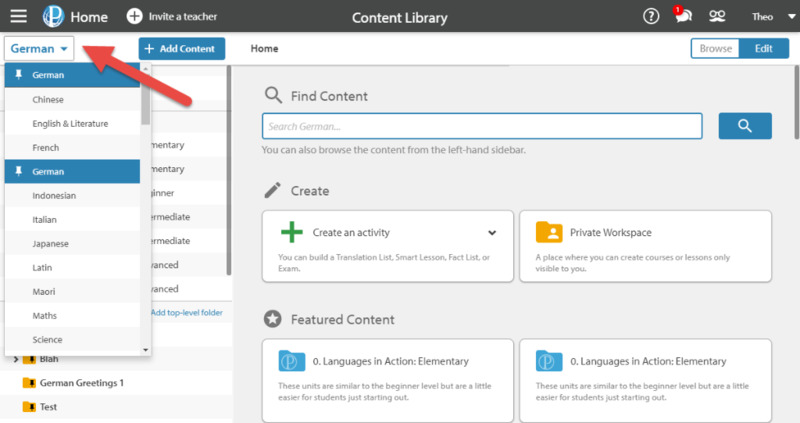 As well as the thousands of vocabulary lists available in Education Perfect, you can make your own lists based on what your students are doing in class. To begin with, select the purple Content Library tab in your Control Panel. 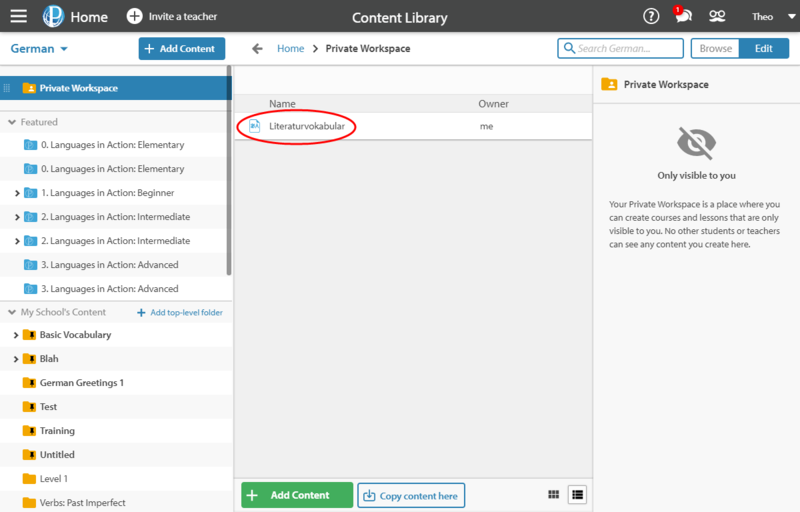 Set your Content Library to Edit mode, using the switch in the top-right corner of the page. If the appropriate subject is not displayed in the window that opens, you can change it by selecting the subject name in the top left corner, and scrolling down through the list. 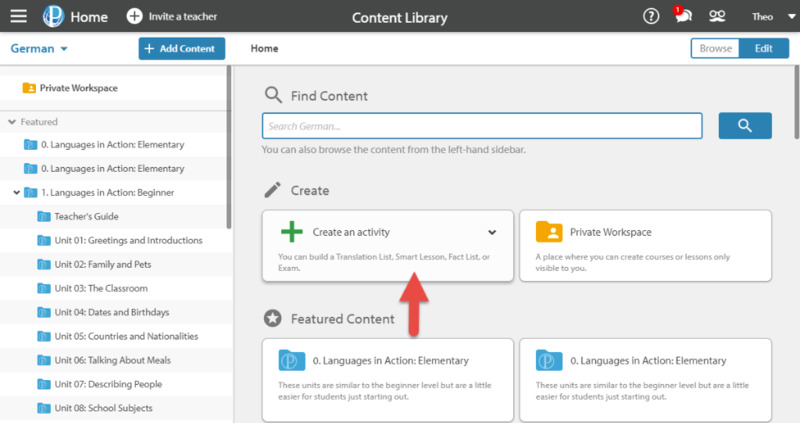 From here, select Create an activity and then Translation list from the drop-down menu. From here choose to either build your own list, import from another list or import from a spreadsheet . Importing from a spreadsheet is the most straightforward. Select the Import from spreadsheet option. 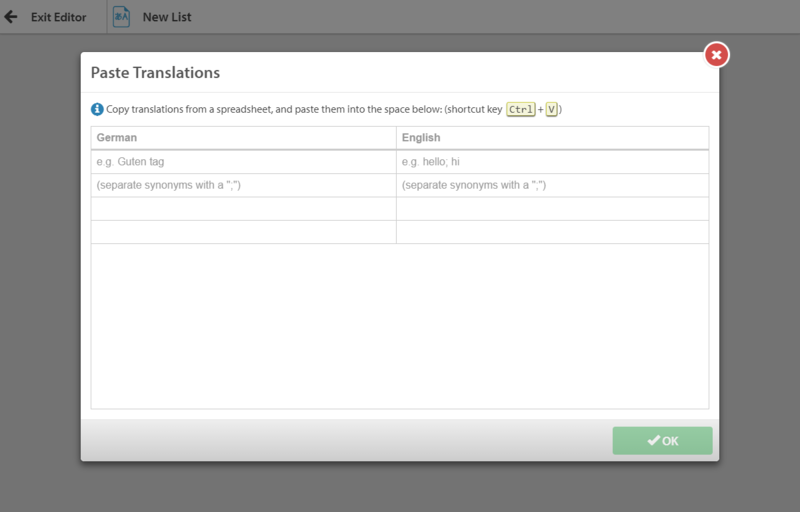 Then, copy columns of vocabulary and translations from your spreadsheet file to paste directly into the system. 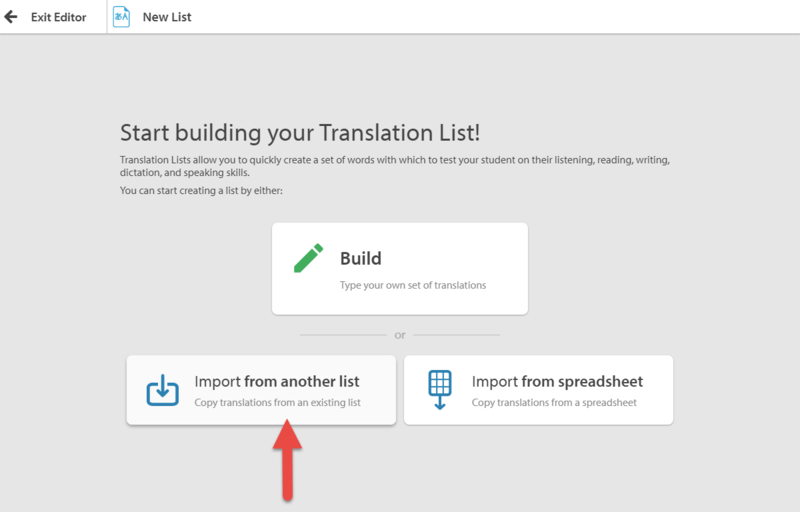 Form a list based on translations from lists already in the system using the Import from another list button. You can search for translations to add from there. 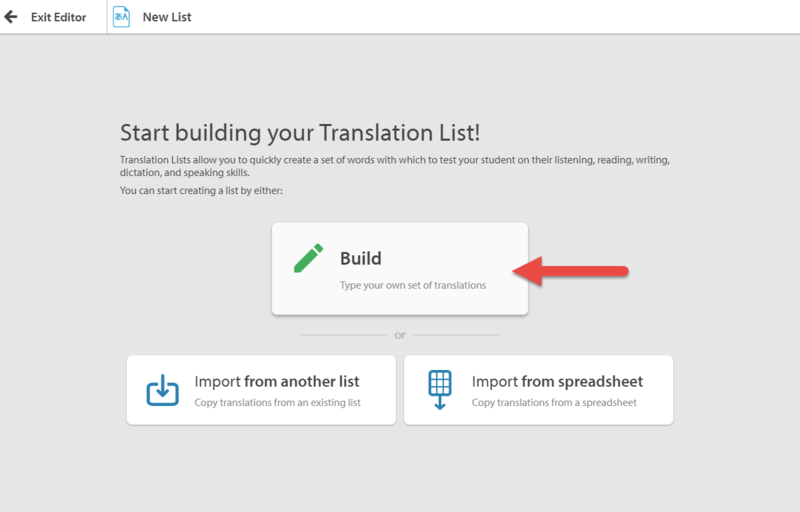 To build a translation list from scratch, select Build. Here, you manually type in vocabulary and translations. Add words by typing the word to translate on the left or the translation on the right. 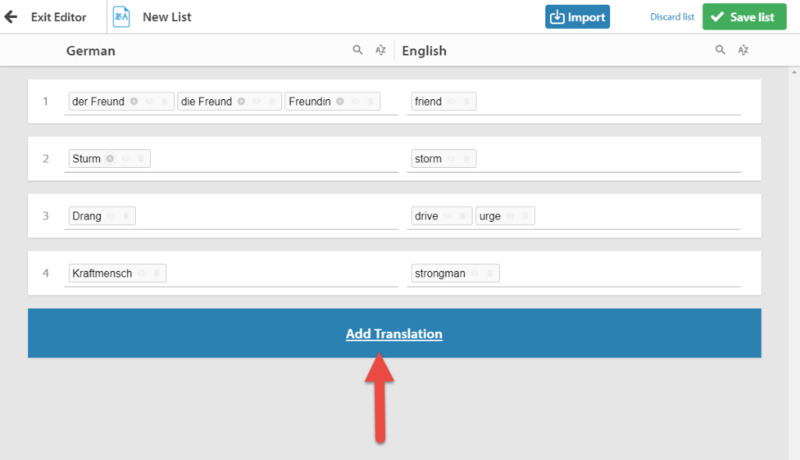 Additional words and definitions may be placed on either side by clicking in the spaces next to listed translations. To ensure your vocabulary is as accurate as possible, you will be given a definition bank to select from rather than having to manually input each word yourself. If you are looking to add a specific word to your list, you can use the search function to quickly find it from the list of vocabulary available. To add your own definition, simply click to the right of the existing definition and start typing. 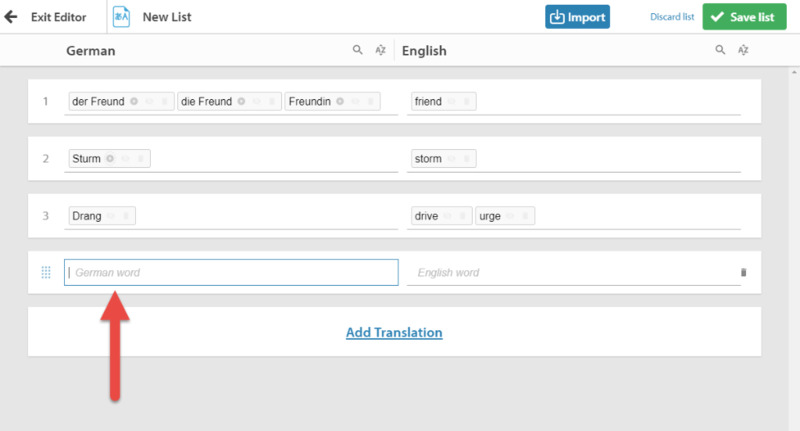 Continue to add as many words as you would like by selecting Add Translation, and repeating the process. Filling in the lowest entry and selecting Enter on the keyboard will also automatically create another entry. 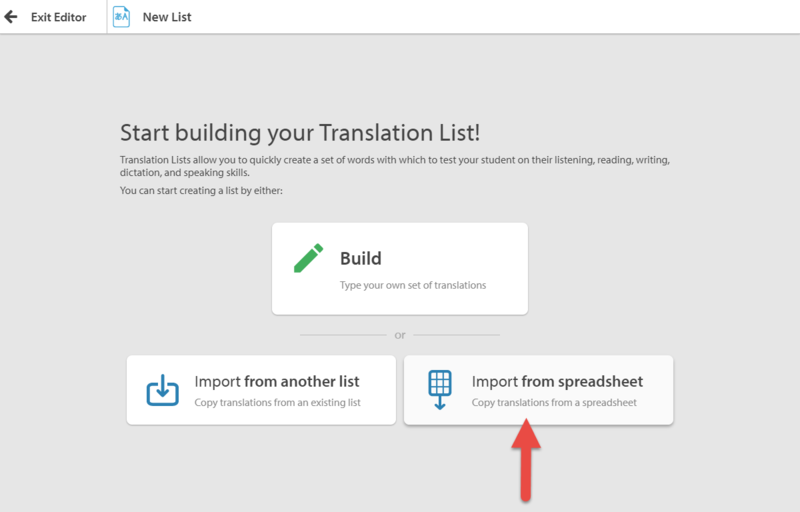 Note that you can still import vocabulary from other lists or from a spreadsheet, by selecting Import at the top of the screen. Give your list a name by selecting the title and typing it in. Then click Save List. Your list will now be showing up in your Private Workspace folder. 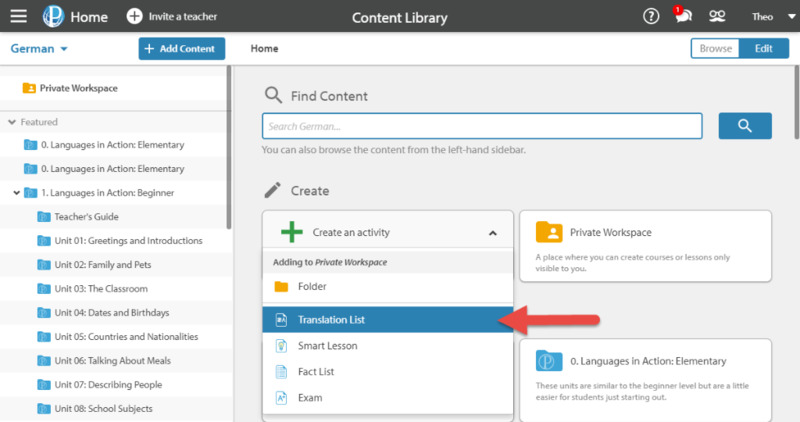 You can assign it as a task or quick test and if you would like to make it visible to other teachers or students, move it to your school's folders.